I had never heard the Marten play better. 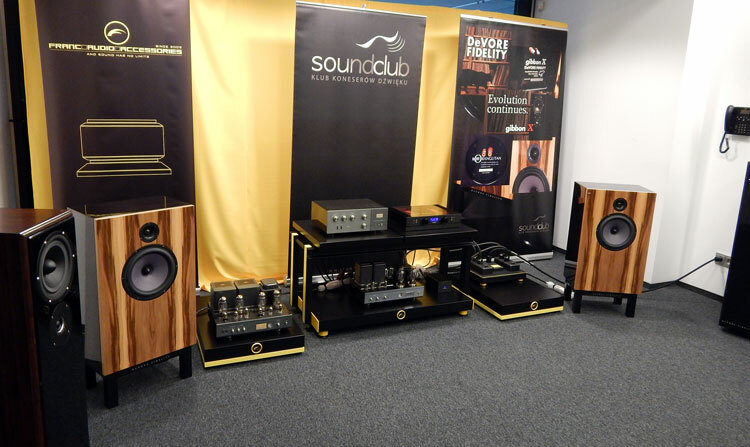 They also greated here with Soundclubs (PL) distributor of many-many ‘grand’ products and the Tenor or Soulution solid-state monoblock amplifiers driving them. 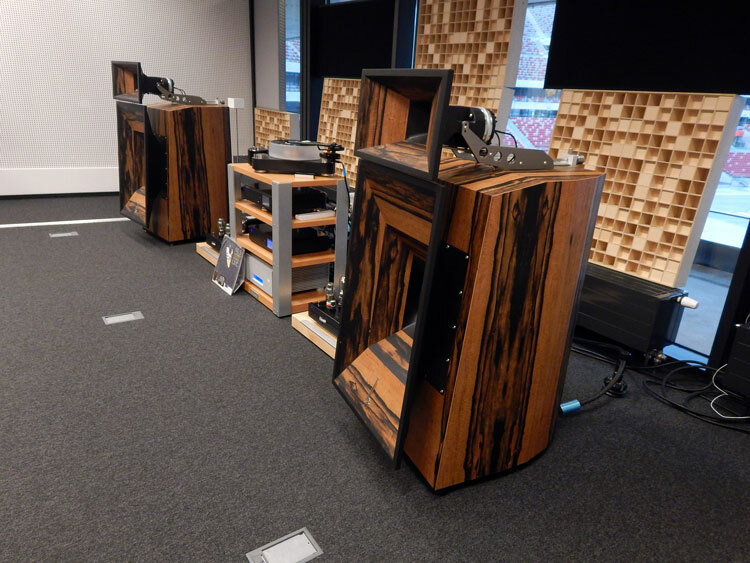 Dan D’ Agostino Pre & Amps masterclass designs – a part of the link with the source of dCS digitals. 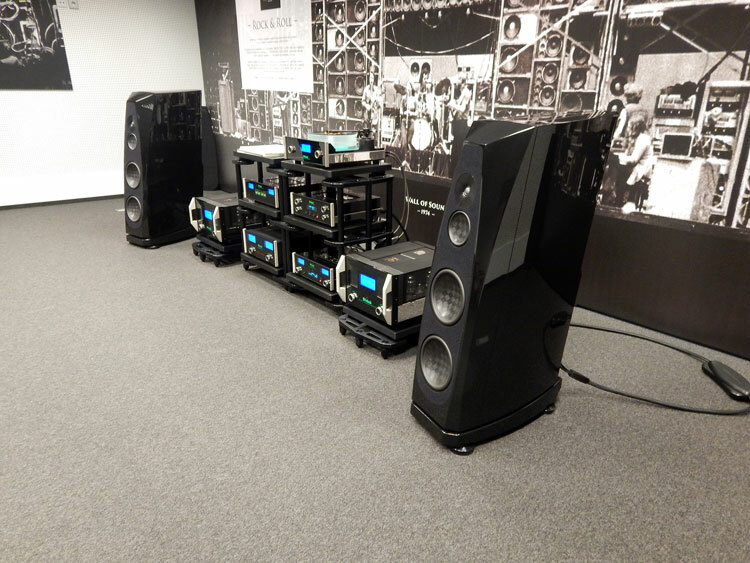 The Beauty was beyond, but the sound was far from what the Wilsons AND the amplifiers, sources can do. I have heard them play an easy 70% better elsewhere. 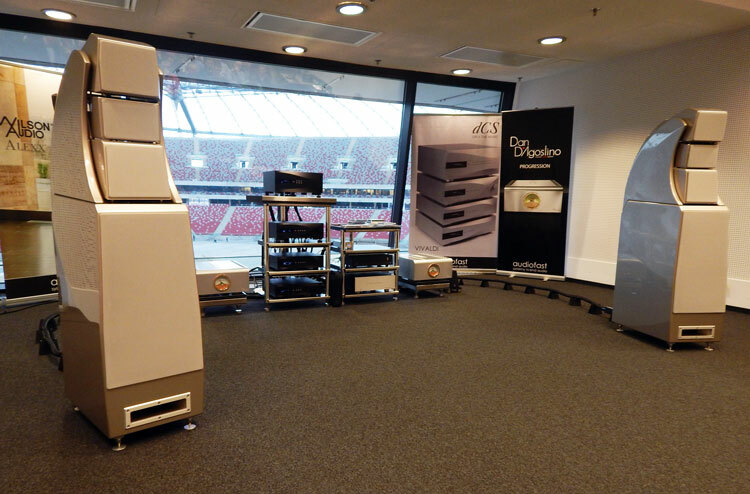 Acoustic Passion AQ, was simply very beautiful, it was an honourable statement of what Poland has. At close to 20.000 it will do well in the market where being different counts and where sound and design is essential. I liked them very much but could not compare them to anything at that price range, they were simply too expensive for the sound quality. Could have been the set up? 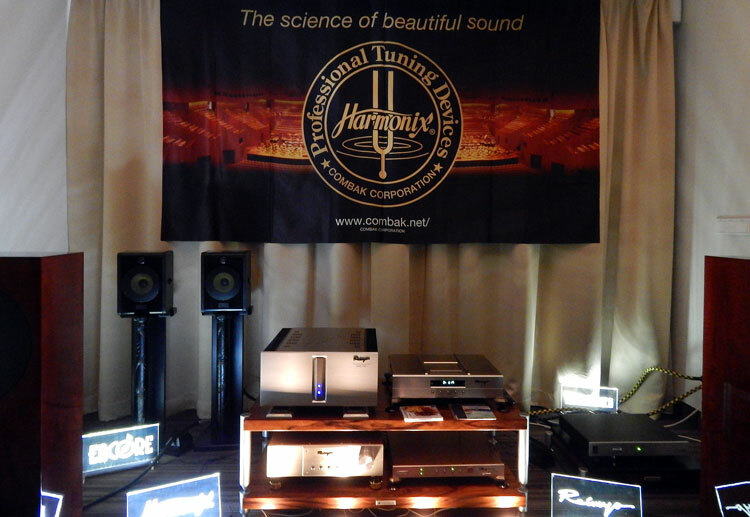 Harmonix & Raimyo Japanese made tuning devices, cables, amplifiers and digitals – a “class of its own”. “Who do I have to kill to borrow some for a review ?!”. Sounded excellent and the soul of the music blessed . 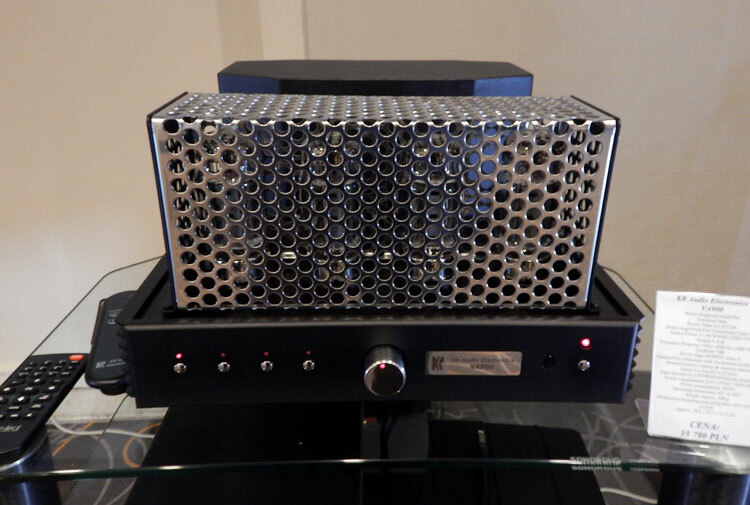 Reimyo Control Amplifier model CAT-777 version II multi awarded Japanese finesse and upper-tier performer. 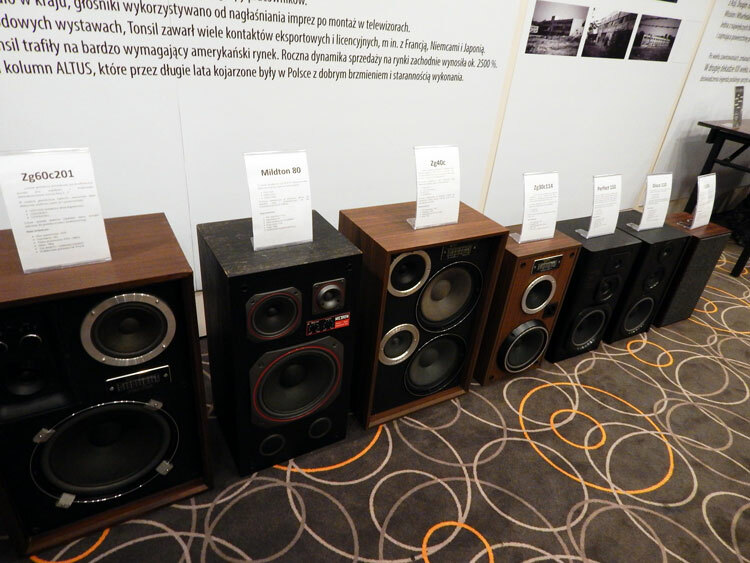 Lets just say that the Focal heard in Athens, were about 500 times the sound heard in Poland. 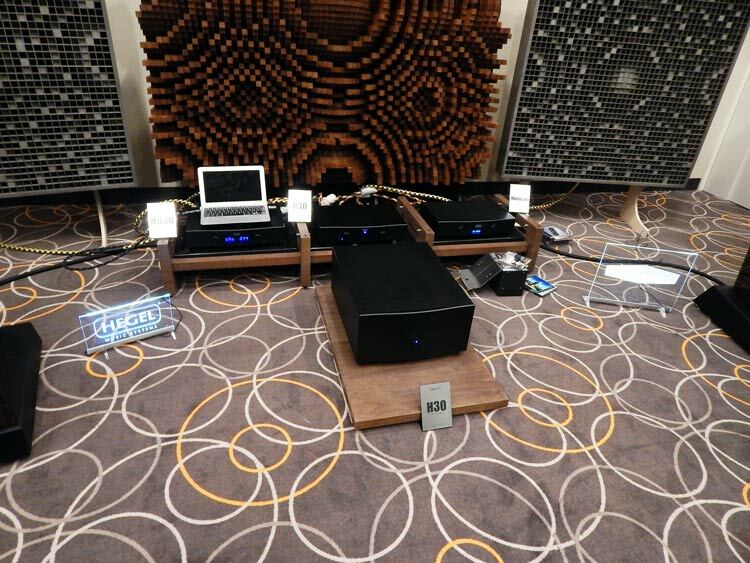 Vitus audio was in for a treat when an insane phono stage simply ruined the sound. Terrible mistake. 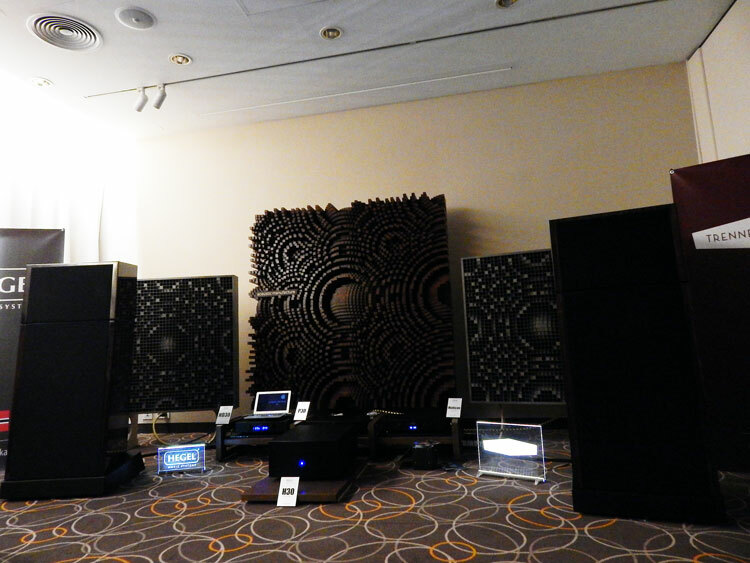 Focal & Vitus Audio plus Harmonix cable loom from Japan simply a “Welcome to A Class Above Clinic” in Greece. Don’t ever saw we don’t offer exclusives here on Hiendnews.gr. This is The Shan Vertigo, with a CONCRETE BASE, yes you read it right, and it even had speakers made of concrete which you could order any shape to be designed for you. Sounded amazingly boring though. Sorry. 6.500 euro. My favourite room to go to, not for the music but for the history of Poland, and Tonsil. The entire range from 55 years ago was there. 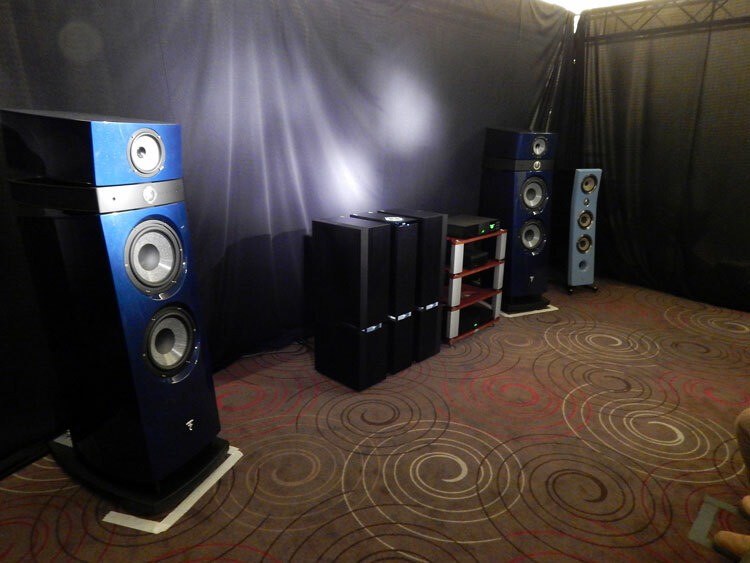 Even the woofers were on display. The new range is so inexpensive that it is worth buying and changing a few things to have whatever you desire. Simply outstanding value. The Tonsil range still alive and believe it or not still playing! Even the worst photographer in the world, naming myself, couldn’t take a bad picture of the McIntosh. The Rockports remind me very much of Usher Audio Dancer series 8871 I owned a decade ago. McIntosh with the Rockports were like paint on canvas. Made for each other in heaven. 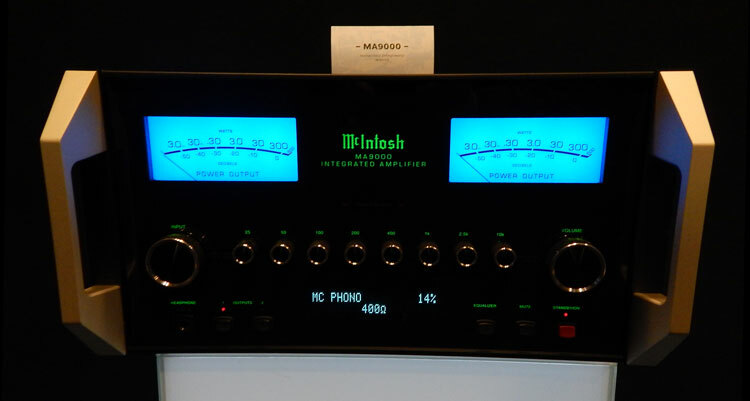 Well, at least you can say that for once, branding is beautiful, when it comes to McIntosh products. This new MTS is absolutely beautiful. Too bad it was only on display. Or maybe it was better this way! 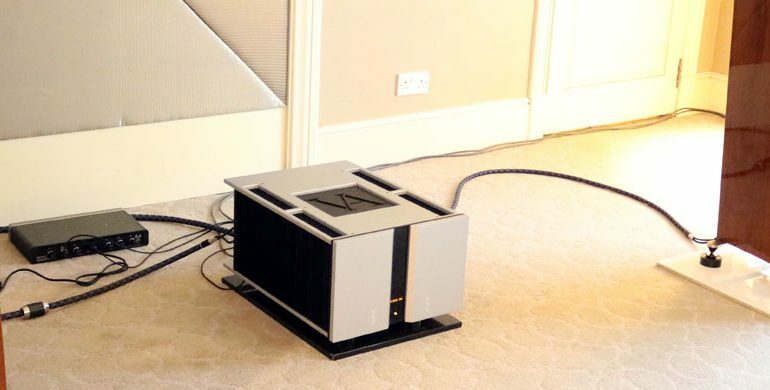 MA 9000 Integrated amplifier. 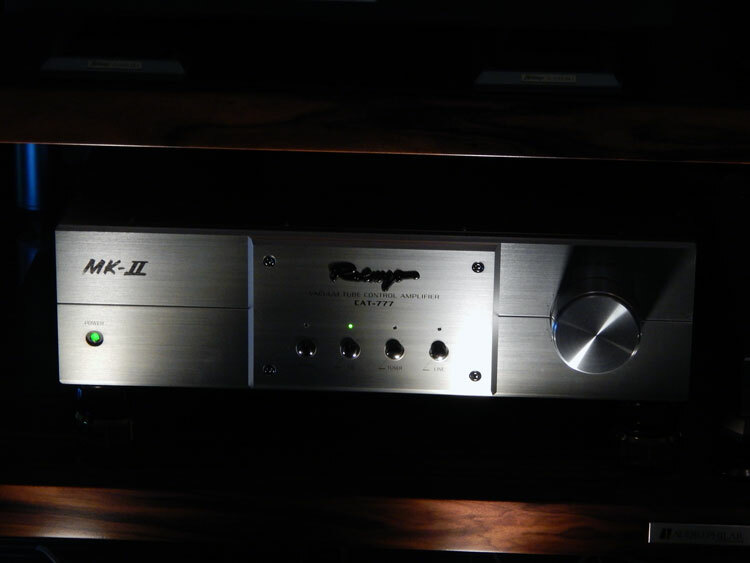 With Phono as you can see with adjustable gain. Looks and probably plays great. 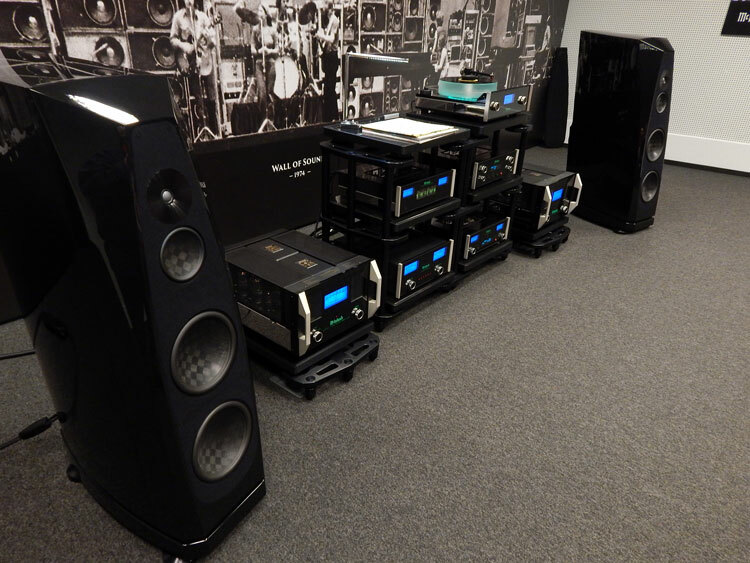 I will have to get one home soon to see if the looks match the sound quality of the past. 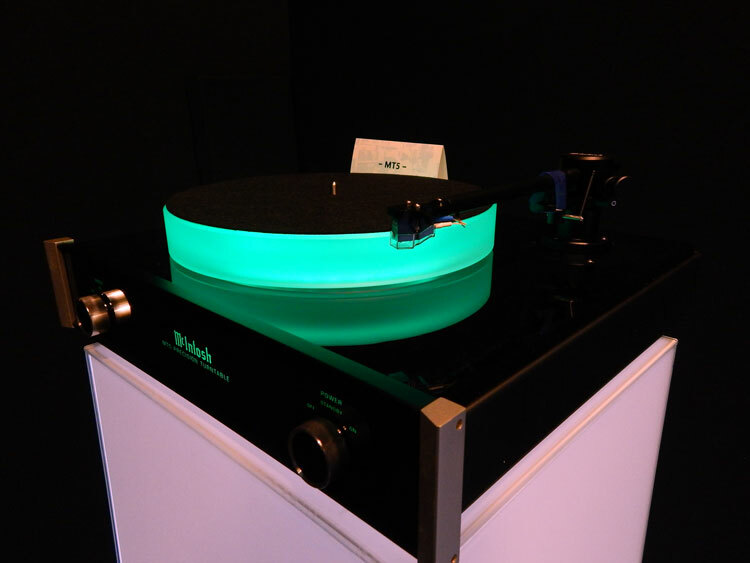 Yes, McIntosh makes headphone equipment. They look great and the man sitting here admitted to me that he had just ordered two pairs. His spouse wanted on of her own. 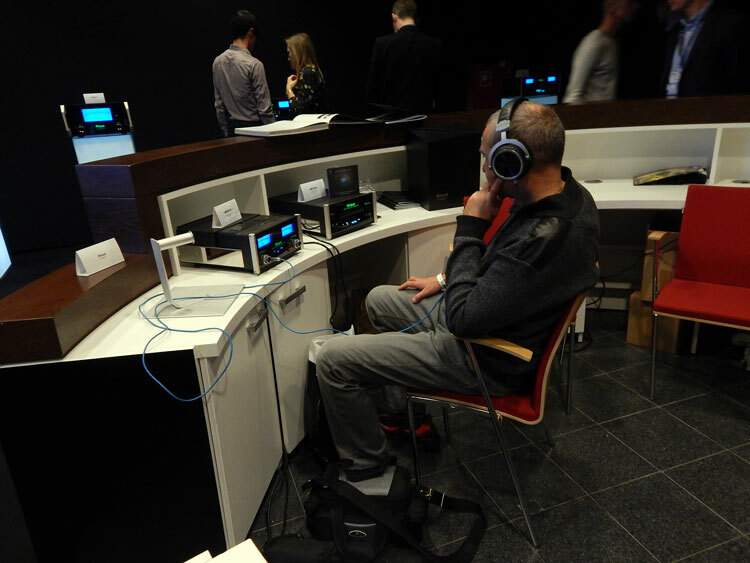 I can tell you, Poland is doing well in headphones!! Easier to spell than to pronounce. 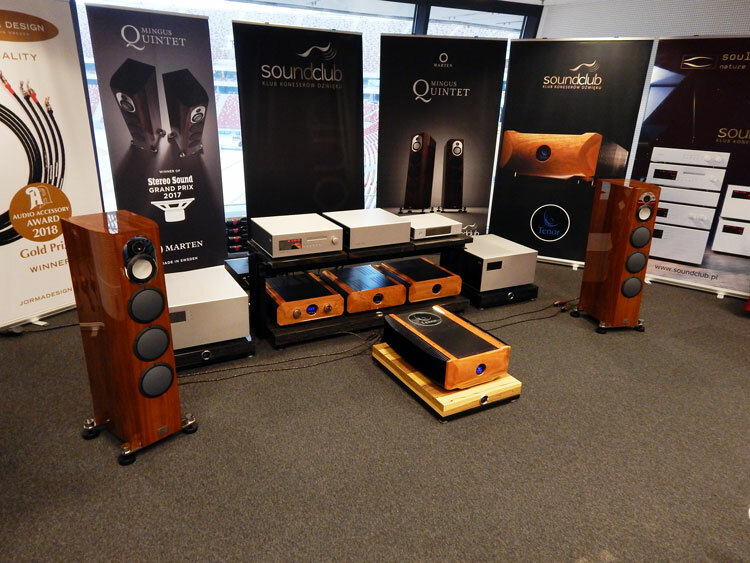 Blumenhofer Acoustics with our own Ypsilon, right there behind the album playing sonically for those who had the chance to actually sit down! The room was always full. They should have charged a higher entrance fee to this show I’m telling you!!! 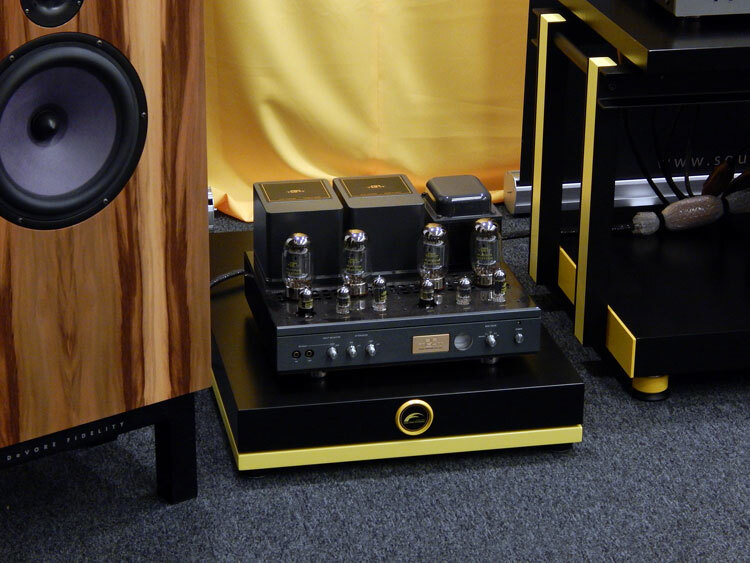 Devore Fidelity with Airtight were rock on with their set up. Warm, inviting and attractive to many. 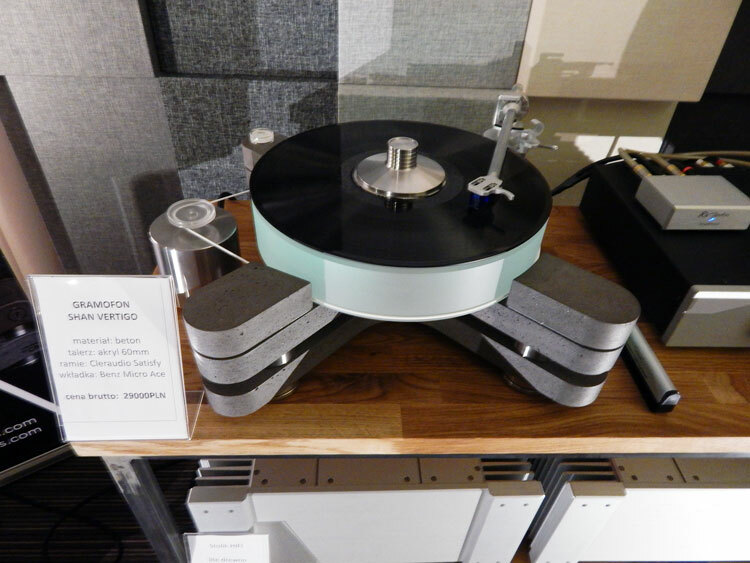 I didn’t have the chance to listen to more than ten songs with it and immediately understood the serious nature of this setup. Classical was superb as was the subdued highs which in this case made sense. 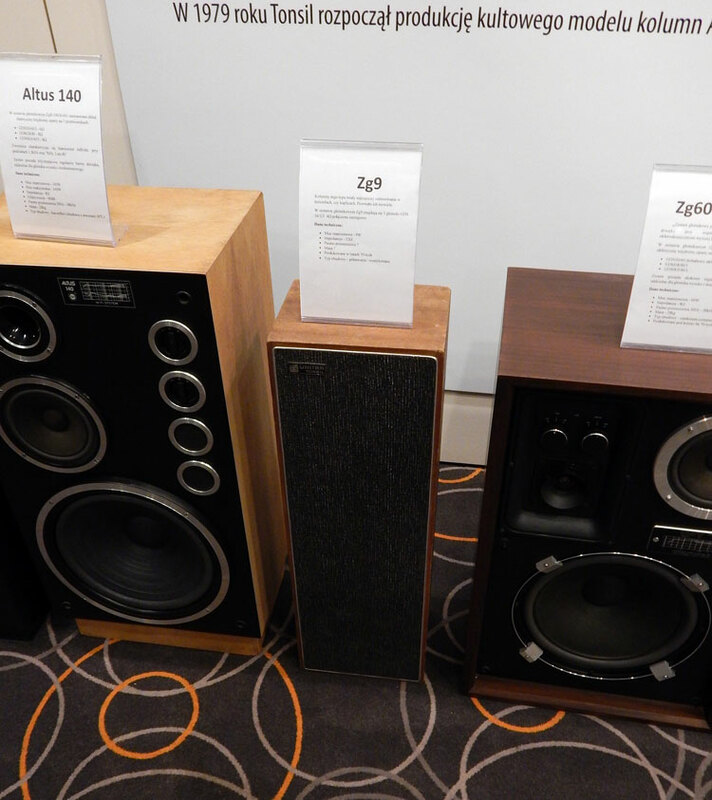 Air Tight & Devore Fidelity speakers. 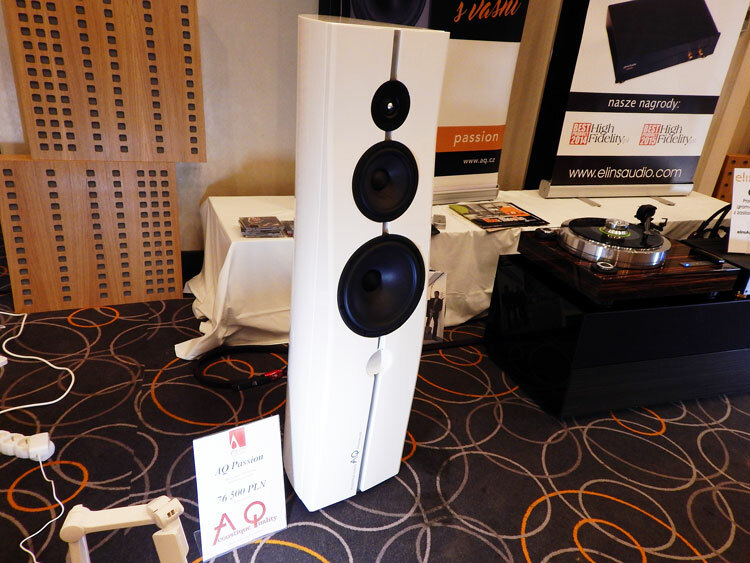 The Integrated Airtight here on display and playing. Machines built by very sophisticated people. Loved them. Only beautiful when listened to. Airtight is also Soundproof for errors. What a company! Paradigm had cheap solutions with this two way driver stand mounted beauty. Great sound for the buck too. 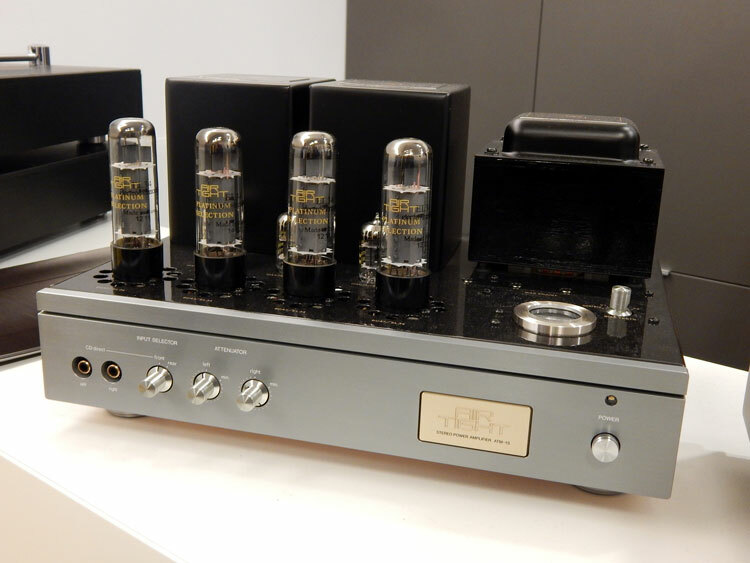 KR Audio back again with many tube integrateds (and smaller ‘bottles’) ! 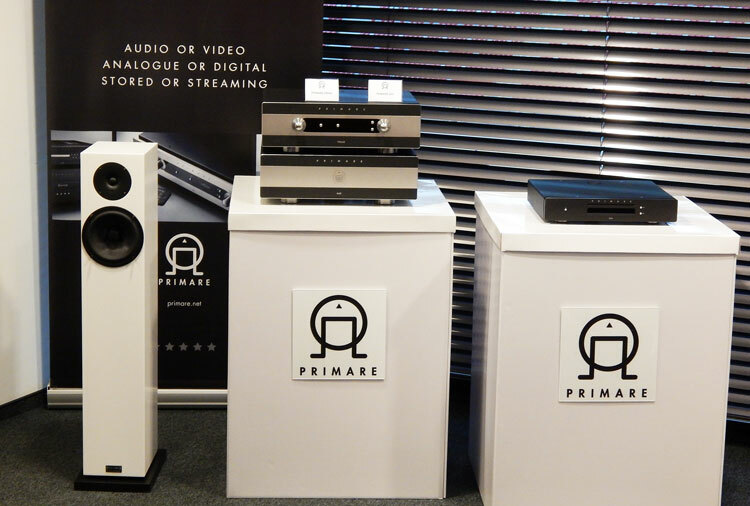 Primare’s top quality mid-valued amplification and sources. 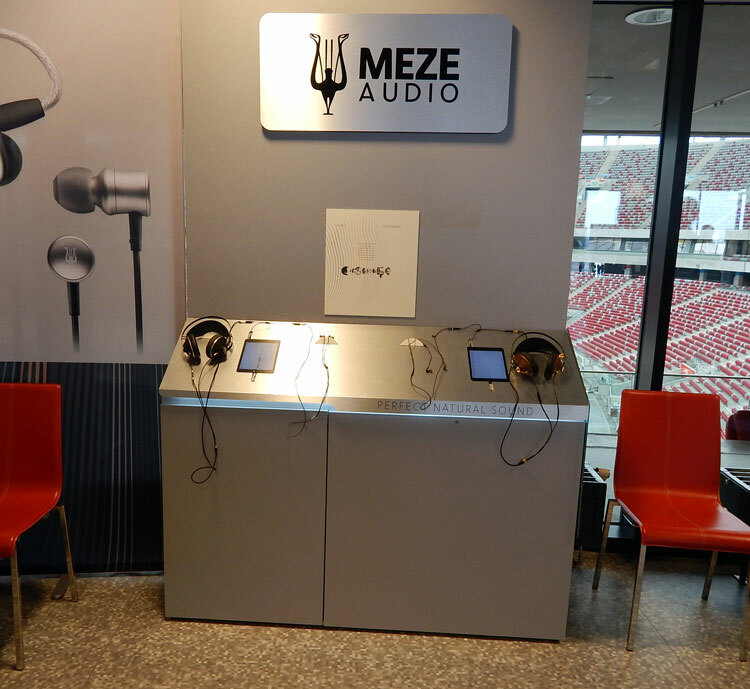 Meze in my opinion makes the best looking and cheapest headphones in the market. 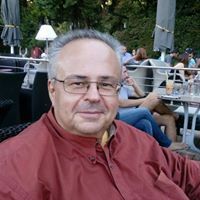 They play wonderful and I am going to have an insanely long term review of them now that I have them at home and can spend many hours reviewing much deeper than before the specific product. Hegel made a superior show anywhere else, than Warsaw. They simply couldn’t put it together as I very well know they can sound. 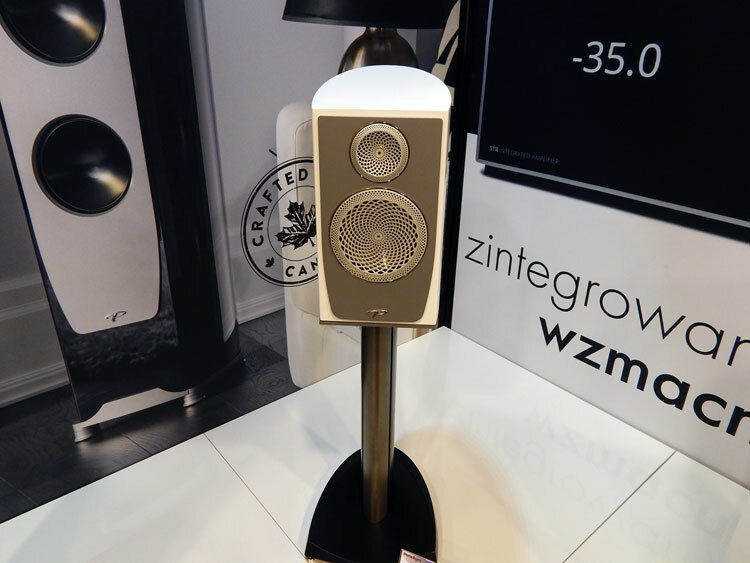 My complaints were directly given to the designers and builders of this wonderful speaker. The Trenner-Firedl speaker. Andreas knew it could have been better but it was okay for the show. I thought it could have been better, especially with all the room conditioning they had. I need to go visit these guys and get them some support in their marketing scheme. Maybe produce a video of how much work actually goes into this speaker. The tech behind it. Quite outstanding if you get to hear about it. Pictured also below. 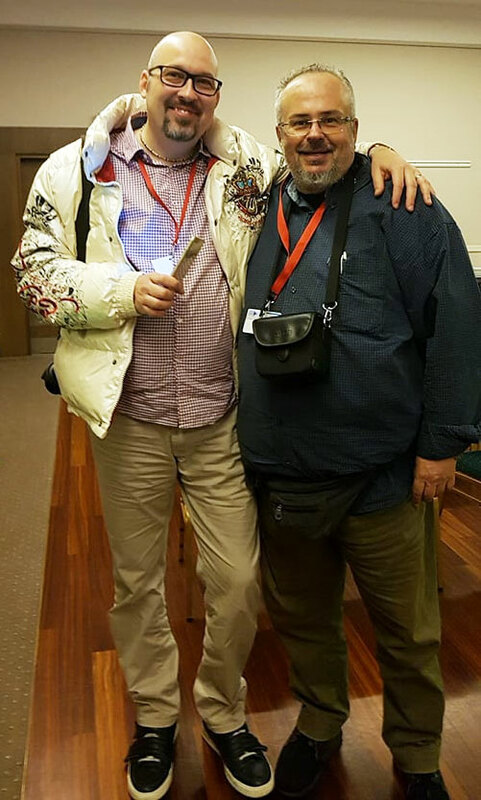 Matej (left) of Mono & Stereo e-magazine and Tony Pothitos of hiendnews.gr (right).